ORLANDO, Fla. –January 29, 2018 – Romacorp, Inc., parent company of Tony Roma’s®, is expanding its retail presence in the USA & Mexico through the company’s latest licensing deal with Vita Specialty Foods, Inc. (Vita Foods), a wholly owned subsidiary of Vita Food Products, Inc. 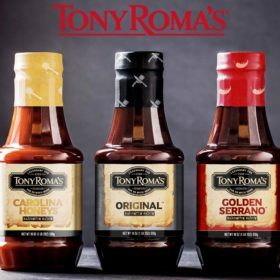 This agreement, brokered by Broad Street Licensing Group, will allow fans in the USA & Mexico to enjoy the “secret sauce” behind Tony Roma’s world-famous ribs and BBQ meats, right in their own homes. 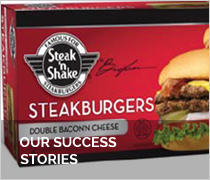 This is the latest in a string of impressive licensing deals for Tony Roma’s over the past year as the brand continues to expand its retail presence in the USA and around the world through the program created for it by Broad Street Licensing Group.